10 May 2019 : Paul Skelton is coming to Newcastle Upon Tyne with his UK Tour. 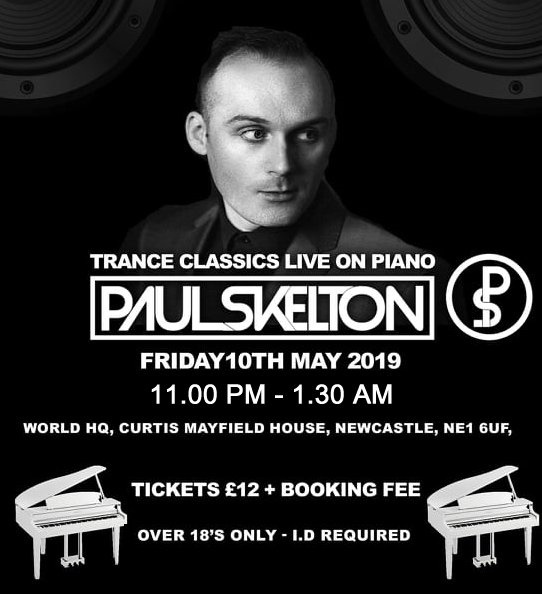 Paul Skelton Live Trance Classics On Piano In Newcastle May 10th 2019. Paul Skelton is coming back to Newcastle Upon Tyne after his successful first show last year…. Having racked up over 3 million views on his version of Robert Miles' 'Children,' Paul's online fan base is growing rapidly. This is a night not to be missed. THE SHOW RUNNING TIMES ARE 11.00 PM - 1.30 AM.